The Catiline or Catilinarian Orations is a set of speeches to the Roman Senate given by Marcus Tullius Cicero, one of the year’s consuls, accusing a Senator, Lucius Sergius Catilina (Catiline), of leading a plot to overthrow the Roman government. 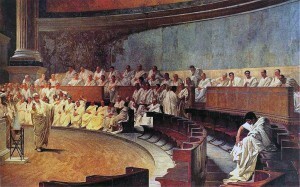 Some modern historians, and ancient sources such as Sallust, suggest that Catiline was a more complex and sympathetic character than Cicero’s writings declare, and that Cicero, a career politician, was heavily influenced by a desire to establish decisively a lasting reputation as a great Roman patriot and statesman. Most accounts of the events come from Cicero himself. This is one of the best, if not the very best, documented events surviving from the ancient world, and has set the stage for classic political struggles pitting state security against civil liberties. 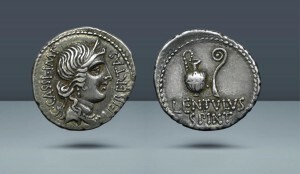 Running for the consulship for a second time after having lost at the first attempt, Catiline was an advocate for the poor, calling for the cancellation of debts and land redistribution. There was apparently substantial evidence that he had bribed numerous senators to vote for him and engaged in other unethical conduct related to the election (such behaviour was, however, hardly unknown in the late Republic). Cicero, in indignation, issued a law prohibiting such machinations, and it seemed obvious to all that the law was directed at Catiline. Catiline, therefore, so Cicero claimed, conspired to murder Cicero and other key senators on the day of the election, in what became known as the Second Catilinarian conspiracy. Cicero announced that he had discovered the plan, and postponed the election to give the Senate time to discuss this supposed coup d’état. The day after that originally scheduled for the election, Cicero addressed the Senate on the matter, and Catiline’s reaction was immediate and violent. In response to Catiline’s behavior, the Senate issued a senatus consultum ultimum, a declaration of martial law. Ordinary law was suspended, and Cicero, as consul, was invested with absolute power. When the election was finally held, Catiline lost again. Anticipating the bad news, the conspirators had already begun to assemble an army, made up mostly of Lucius Cornelius Sulla’s veteran soldiers. The nucleus of conspirators was also joined by some senators. The plan was to initiate an insurrection in all of Italy, put Rome to the torch and, according to Cicero, kill as many senators as they could. Through his own investigations, he was aware of the conspiracy. 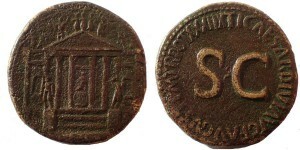 On November 8, Cicero called for a meeting of the Senate in the Temple of Jupiter Stator, near the forum, which was used for that purpose only when great danger was imminent. Catiline attended as well. It was then that Cicero delivered one of his most famous orations. When, O Catiline, do you mean to cease abusing our patience? How long is that madness of yours still to mock us? When is there to be an end of that unbridled audacity of yours, swaggering about as it does now? In the Second Oration (Oratio in Catilinam Secunda Habita ad Populum), Cicero informed the citizens of Rome that Catiline had left the city not in exile, as Catiline had said, but to join with his illegal army. He described the conspirators as rich men who were in debt, men eager for power and wealth, Sulla‘s veterans, ruined men who hoped for any change, criminals, profligates and other men of Catiline’s ilk. He assured the people of Rome that they had nothing to fear because he, as consul, and the gods would protect the state. The Third Oration (Oratio in Catilinam Tertia ad Populum), claimed that the city should rejoice because it had been saved from a bloody rebellion. He presented evidence that all of Catiline’s accomplices confessed to their crimes. He asked for nothing for himself but the grateful remembrance of the city and acknowledged that the victory was more difficult than one in foreign lands because the enemies were citizens of Rome. In his fourth and final argument, which took place in the Temple of Concordia, Cicero establishes a basis for other orators (primarily Cato the Younger) to argue for the execution of the conspirators. As consul, Cicero was formally not allowed to voice any opinion in the matter, but he circumvented the rule with subtle oratory. Although very little is known about the actual debate (except for Cicero’s argument, which has probably been altered from its original), the Senate majority probably opposed the death sentence for various reasons, one of which was the nobility of the accused. 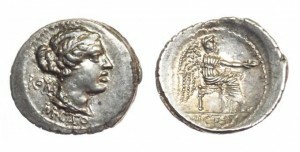 For example, Julius Caesar argued that exile and disenfranchisement would be sufficient punishment for the conspirators, and one of the accused, Lentulus, was a praetor. However, after the combined efforts of Cicero and Cato, the vote shifted in favor of execution, with the sentence carried out shortly afterwards. His majestic invocations to the gods, gained for him the esteem of pious and religious groups. These prayers certainly had a mighty influence over the minds of the men, for pietas, which expressed the due fulfillment of man’s duty to god, was the rule and measure of all virtue. It is in these invocations that we detect that the speaker has not a more advantageous way of recommending himself or of meriting approbation than by making a strict and severe profession of virtue. In the masses, full of superstitious fancies, such a profession of personal faith in the deities was perhaps the only means of establishing confidence in the authority set over them and of maintaining a belief in the power of that authority to secure the good-will of the gods and their favor in matters of material well-being.